Read part two here, part 3 here. 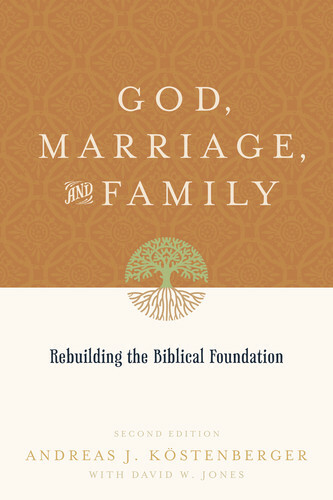 In the previous chapters we attempted to put God first in our thinking about marriage and the family and sought to rebuild the biblical foundation for marriage and the family. One final important step remains, however: applying what we have learned about God's plan for marriage and the family to the church. As we have seen, God's purpose is "to bring all things in heaven and on earth together under one head, even Christ" (Ephesians 1:10), including the marriage and family relationship (Ephesians 5:21), so that, in accordance with Paul's prayer, "to him be glory in the church and in Jesus Christ throughout all generations, forever and ever. Amen" (Ephesians 3:21). How does God intend to relate marriage and family to the church? This is a question of theology (the doctrine of God) and ecclesiology (the doctrine of the church). A different but related question is this: How can churches today strengthen families? This question is one of method and application. In order to answer these two questions, it will be important to draw on the findings in previous chapters on the biblical theology of marriage and the family and to apply these findings to the biblical teaching on the nature of the church. It will also be important to address the practical questions regarding a biblical philosophy of church ministry and programs designed to strengthen marriages and families. As we have seen, we find in the Old Testament a pattern that is best characterized as "patricentrism"; that is, a type of family in which the father serves as the hub of the life of the family and as its life-giving, directive center. While genuine authority is invested in the father, his role in the family is by no means exhausted by the exercise of his God-given authority but, among many other functions, includes also the protection of and provision for his family.1 At the same time, some of the functions of the father in the Old Testament—such as the giving of a dowry to his daughter, the role of parents in arranging their children's marriages, or the oversight of an extended household including not only blood relatives but also household slaves—have a cultural component that may possibly not be transferred directly to the Christian family today. The application of these passages calls for wisdom and discernment. With regard to Jesus' teaching, we have seen that Jesus affirmed God the creator's original plan for marriage, quoting both Genesis 1:27 and Genesis 2:24 (Matthew 19:4 and pars.). By this our Lord strongly and emphatically confirmed that God's original design for marriage (with the husband as the head and the wife as the submissive, supportive partner) continued to obtain for Christians rather than being replaced by a different plan (such as an egalitarian one). Another point of interest is that Jesus indicated that he came not to bring peace, but a sword, and faith in him (or lack thereof) would divide families (Matthew 10:34 and pars.). Hence allegiance to Christ and his kingdom must have priority over natural family ties. This, as will be seen, injects a crucial dose of realism into any approaches to church structure that work from the ideal intact family unit where the father is the head of the household. In many nuclear families, the father is either not a believer or absent altogether. Jesus also noted that there will be no marriage in heaven (Matthew 22:30) and explained that some even in this age would choose to remain unmarried "for the sake of the kingdom of heaven" (Matthew 19:12). Taken together with Paul's discussion of singleness in 1 Corinthians 1:1, this sheds an important eschatological light on the question of marriage and family in the church. It shows that marriage, while divinely instituted in the beginning and continuing to be in effect until the final consummation, is part of "the present form of this world" which "is passing away" (1 Corinthians 1:31). God's kingdom, on the other hand, endures forever (Revelation 11:15; Revelation 22:5). Paul, likewise, in Ephesians 5:21, directed his commands to Christian husbands, wives, and children, calling on wives to submit to their husband, on husbands to love their wife sacrificially and to nurture her spiritually, on children to obey their parents and to honor them, and on fathers to train and instruct their children in the Lord rather than exasperating them or treating them harshly. Since work relationships also were set within the context of the extended family unit, instructions for servants and masters were issued as well (Ephesians 6:5). Thus the household continued to be the central unit in the New Testament era, and proper allowance was made for those households where one of the members (spouses) may not have been a Christian (e.g., 1 Corinthians 7:12; 1 Peter 3:1). Also, the same authority structure and call on the husband and father to protect and provide in the Old Testament are found in the New Testament as well. While Paul's teaching lays out important biblical principles for marital and familial roles, his writings do not explicitly stipulate the way in which these roles relate to the way in which these principles apply to the structuring of the church. With this brief survey of the biblical teaching on marriage and family in mind, we are now ready to discuss the following important set of questions: What is the role of the church in relation to marriages and families? And how can the church strengthen those relationships for the good of those families and the church and to the glory of God? Thus properly conceived, it is only in the book of Acts and in the New Testament Epistles, particularly those written by the apostle Paul, that we find the bulk of the New Testament teaching regarding the church. One can then see that the existence of the church is predicated upon the saving, substitutionary death and resurrection of Jesus, in accordance with the Christian gospel (e.g., 1 Corinthians 15:3). The New Testament is unequivocal that in order for anyone to become part of the church, he or she must be born again, that is, regenerated on the basis of his or her repentance and faith in the Lord Jesus Christ.5 Any such person receives forgiveness of sins (Ephesians 1:7), is justified (Romans 5:1) and set apart for God's service (1 Corinthians 1:2), and receives the Holy Spirit as well as spiritual gifts to use for the edification of the church (Ephesians 1:13). Legitimate church membership, therefore, is predicated upon personal, individual repentance and faith in the Lord Jesus Christ, leading to regeneration and the indwelling of and gifting by the Holy Spirit (1 Corinthians 12:4; Titus 3:4; cf. Romans 8:9). When a person comes to faith, his or her familial state is of no consequence, whether married, single, divorced, or widowed. What, then, is the church? In the New Testament, and particularly in Paul's teaching, we find several characterizations of the church and its nature and functions. Perhaps most prominent and pervasive is the Pauline teaching on the church as the "body of Christ" (e.g., Romans 12:4; 1 Corinthians 12:1; Ephesians 4:11; Ephesians 5:30).6 The emphasis in this description is on the relationship between Christ as the "head" and the church as his "body," indicating both Jesus' authority and lordship over the church and his provision for the church. Central in this provision is the Spirit's bestowal of particular spiritual gifts to every member of the body for the building up of the body to maturity (Ephesians 4:13). Among these gifts are those who serve the church as pastor-teachers (Ephesians 4:11), whose role is to "prepare God's people for works of service" (Ephesians 4:12 NIV). This metaphor thus stresses the church's unity with Christ and its submission to him as its head as well as the exercise of various spiritual gifts by its members. It is important to note that the work of equipping believers for the work of the ministry is said to be placed in the hands of spiritually gifted and duly appointed officers in the church. While fathers doubtless have a God-given responsibility to serve as spiritual leaders in their homes, the familial realm is distinct from the ecclesiastical realm where authority is vested in spiritually mature men who meet the qualifications for church leadership stipulated in passages such as 1 Timothy 3:1. Another picture of the church found in the New Testament is that of the "household" or "family of God" (1 Timothy 3:4; 1 Timothy 5:1; Titus 2:1). In 1 Timothy 1:15, Paul speaks of believers as "the household of God, which is the church of the living God, a pillar and buttress of the truth." He also establishes an important correlation between a man's oversight of his natural family and his qualification to oversee the affairs of the church in the role of elder (1 Timothy 3:4).7 In keeping with this "household" metaphor, Paul tells believers to relate to older people in the congregation as their "fathers" and "mothers" in Christ and to members of the same age or younger as "brothers" and "sisters" (1 Timothy 5:1). This harks back to Jesus' teaching that all those who do the will of the Father are his "brothers" and "sisters" (e.g., Mark 3:31; Luke 11:27). Paul encourages older women to train young women as mothers would their daughters in the natural household, encouraging them to love their husbands and children, to be working at home, and to be submissive to their own husbands (Titus 2:3). The same is true for older men in the church in relation to younger men, who need to be grounded in the Word of God and learn to overcome the Evil One (e.g., 1 John 2:12). This picture accentuates more keenly the fact that the church is built upon the model of the natural household as its spiritual equivalent. This, as we will see, has important implications for the way in which God wants the church to function. In light of the above-mentioned passages in Scripture it should be noted that the New Testament application of the "household" metaphor to the church does not mean that it conceives of the church as a family of families, with individual family units constituting the primary structural backbone of the church, but as the broader base of the family of God where the older, more mature believers train up and nurture the younger ones.8 While it would be desirable that whole families would consist of regenerate believers once children are old enough to understand the significance of Christ's cross-work for them and repent of their sins and believe, as mentioned, the constitutive principle for New Testament church membership is personal faith in Jesus Christ, not belonging to a covenant family (sometimes called "the organic principle"). It is therefore better to understand the "household" metaphor for the church as conveying the notion that analogous to the natural household, believers, by virtue of their common faith in Jesus Christ, are adopted into God's family, the church, and thus become spiritual "brothers" and "sisters" in Christ. The important principle to remember is that this takes place on the basis of personal faith apart from family membership. This reality in no way diminishes the importance of the family, especially that of raising children to come to know the Savior. The realms of the family and the church should remain distinct, however, and should not be collapsed to the point that they become all but indistinguishable, as we will argue more fully below. Andreas J. Köstenberger is director of PhD Studies and professor of New Testament at Southeastern Baptist Theological Seminary in Wake Forest, North Carolina. He is a prolific author, distinguished evangelical scholar, and Editor of the Journal of the Evangelical Theological Society . Dr. Köstenberger and his wife have four children. David W. Jones is Assistant Professor of Christian Ethics at Southeastern Baptist Theological Seminary. Dr. Jones is married with two children. 2. See the helpful survey of the biblical-philological definition of the church in Millard J. Erickson, Christian Theology (2nd ed. ; Grand Rapids: Baker, 1998), 1041-44. 3. See Erickson, Christian Theology, 1058-59; contra Wayne Grudem, Systematic Theology (Grand Rapids: Zondervan, 1994), 853-55. For a helpful survey of the relevant issues see C. Marvin Pate, "Church, the," in Walter Elwell, ed., Baker Dictionary of Biblical Theology (Grand Rapids: Baker, 1996), 95-98, esp. 95-96. For a biblical-theological treatment see D. J. Tidball, "Church," in New Dictionary of Biblical Theology, ed. T. Desmond Alexander and Brian S. Rosner (Downers Grove, IL: InterVarsity, 2000), 406-11, with further bibliographic references. 4. Erickson, Christian Theology, 1058. As Erickson notes, while Acts 7:38 uses ekklesia with reference to the people of Israel in the wilderness, this most likely constitutes a non-technical reference. The fact that the church, properly conceived, began at Pentecost does not take away from the underlying unity of the people of God in both Testaments (see, e.g., Hebrews 11). See ibid., 1045-46, 1058-59. See also Mark Dever, "The Church," in A Theology for the Church (ed. Daniel L. Akin; Nashville: B&H, 2007), 768-73. 5. See, e.g., Mark Dever, Nine Marks of a Healthy Church (Wheaton: Crossway, 2000), "Mark Four: A Biblical Understanding of Conversion" and "Mark Six: A Biblical Understanding of Church Membership." 6. See the discussions in Erickson, Christian Theology, 1047-49; Grudem, Systematic Theology, 858-59; and Dever, "The Church," 774-75. 8. For an extensive and largely compelling critique of this idea see Jason Webb, "My Introduction to the Family-Integrated Church Movement," "What is the Family-Integrated Church Movement? 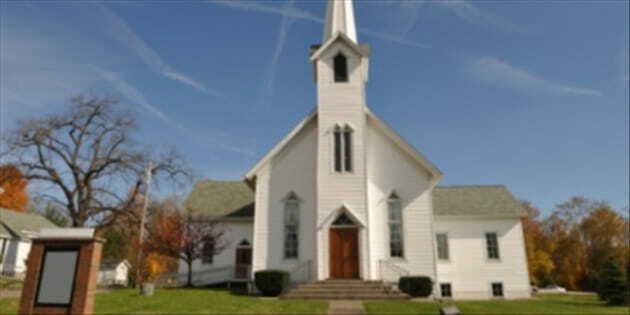 (Part 1)," and "The Family-Integrated Church Movement (Parts 2-5)," online at http://reformedbaptistfellowship.wordpress.com. The only questionable component of Webb's critique lies in the way in which he seems to suggest that the old and the new covenants differ in the way in which people were part of God's people. However, according to New Testament teaching, the principle of personal faith as the basis for justification is the same in both covenant periods (see esp. Gen. 15:6 and Paul's argument in Galatians 3 and Romans 4). 9. On the "temple of the Holy Spirit" metaphor, see Erickson, Christian Theology, 1049-51. Paul S. Minear, Images of the Church in the New Testament (Philadelphia: Westminster, 1960), identifies as many as ninety-six (!) images for the church in the New Testament. See also Avery Dulles, Models of the Church (2nd ed. ; New York: Image, 1987). Dever, "The Church," 773-75, discusses the church as the people of God; as the new creation; as fellowship; as the body of Christ; and as the kingdom of God. Grudem, Systematic Theology, 858-59, treats the church as a family and as the bride of Christ, various other metaphors such as branches on a vine, an olive tree, a field of crops, a building, a new temple, and a harvest, and the church as the body of Christ.